My party confronted Wrathack in Kelton Manor. I really enjoyed the grueling atmosphere of the place. Aso, fine usage of a few of my thief's skills. The lich was a bit too vulnerable to the sleep spell. Thespar Wordsmith's convo/trigger is still nearby the torch in Castle Hearkenwold it seems (though his token is gone and in dialogue he said to move to Khynn). Fixed bug with AoO not triggering when stepping to the left as first action of turn. Another fix for large creatures and their not intented vulnerability to AoE spells. Many of Hearkenwold°s cretaure (high level even) have no boni to will, reflex or fortitude saves (just plain 0). This makes them a bit vulnerable to spells. Had great fun crossing the bridge (great battle!) towards Relmfur. Wow, Heakrenwold is truely epic in scope by now. Very good battles south of the Relmfur bridge. My level 5 (a few 6) party is challegend quite a bit which is great. I find myself doing frequent trips to rest locations and had to use the ressurection available in Castle Hearkenwold a few times, too, already. Also, many very clever uses of convos for utilizing skills (sneak, pick lock, disarm trap), equipment (grappling hook and rope) or spells (bless). The creature and picture artwork chosen is outstanding and fits together very cohesively. Little typo in the bard's song in the town of Bodrun(? ): He sings "brdige" and means "bridge". keep up the good work! South of the bridge, and the bridge area itself, really is the start of the new content I was working on last year. If you run into any fights that are too punishing, you can always come back later. I was trying to ramp up the difficulty compared to the earlier areas. Appreciate the bug reports. I have added the option to let the merchants know you already have a wagon wheel. That will somewhat alter how that encounter plays out. The whole Madrigal side quest has been a convoluted mess since I started working on it 3 years ago, ha! I did find the root of the issue: On one of the options when you report to Madrigal about the goblins, it gives the same global int as if your return the instruments successfully. Problem is, after that, it is a matter of sequence depending on how the player approaches the situation. I have to give this one some thought, as I might have to change values in a number of places and make sure it all holds together. I believe very strongly in player agency and open ended exploration of content, but tracking variables across multiple conversations is the consequence for potential oversight. I started paying attention to enemy saving throws in the newer update. So you will start to face higher level opponents with stronger Fort, Will and Reflex modifiers. Certainly, I will go back to adjust ALL creatures, including the lich! Fixing typos as they come in, thanks! Awesome, the new parts are really great fun, especially as I can experience them the first time. Also, I think they are very refined (which just shwos how much prowess you have gained using the toolset). Fights are really great - I like the amount of challenge. I haev the feeling though that I missed the dessert region (Asherim) so far, as I remember having been there in older playthroughs before crossing the bridge in direction of Relmfur. Perfect, that was really fast. I know that feeling very well form working with code parts of my own from many months or years ago, especially as the whole -interconnected - code becomes more complex all the time. I like the complexity and the options this grants, but it is very prone to bugs, too, unfortunately. Pah, just a question of time to sort it all out . The Madrigal quest is great fun, especially as the bard (and instrument craftsman) crosses the party's path several times. I really liked the song about our heroes. That's great to hear. I found certaures very well set up and balanced so far, adjusting the old saving modifiers will fix the last missing puzzle piece. Will keep them coming - as I speak of it: when presentig Citrol(? )'s [Drider] Heart in the mystic wood clearing, the text has an "of" too much ("glamour of of many riders"). Work on the Hearkenwold campaign is of course an ongoing process. I have already updated to build 115 of the engine, and pleased to report that saves from the 105 version I released loaded up without any problem. This has given me the chance to see some of the new changes that have been made, such as portrait sizes and combat feedback. Next week, I will move over to the latest 116 build, so I can take advantage of the attack bonus feature on non-weapon items. The elven cloak, and perhaps some other treasures, will become more valuable! 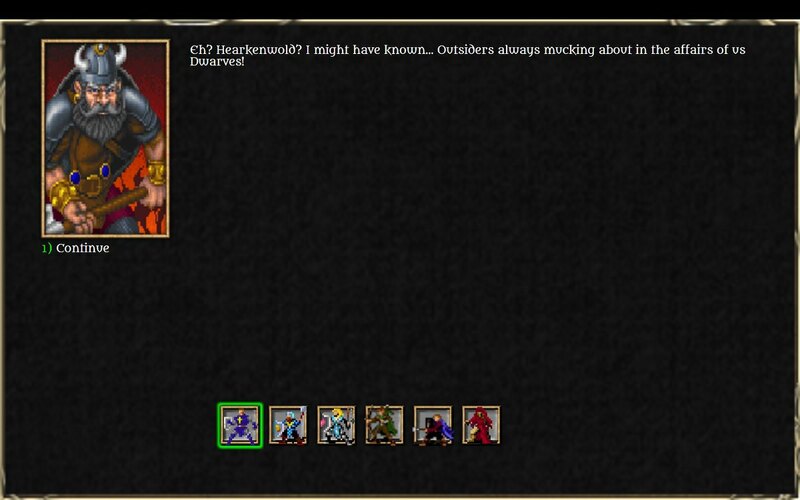 Then I plan to post the new Hearkenwold module with the corrected typos and fixes, using build 116. This is the general Drachenvain Irongrip. He doesn't seem too happy to meet the party. The Halls of Hamhock was the first module I ever made using the FRUA toolset. But then I re-created it for NWN2. 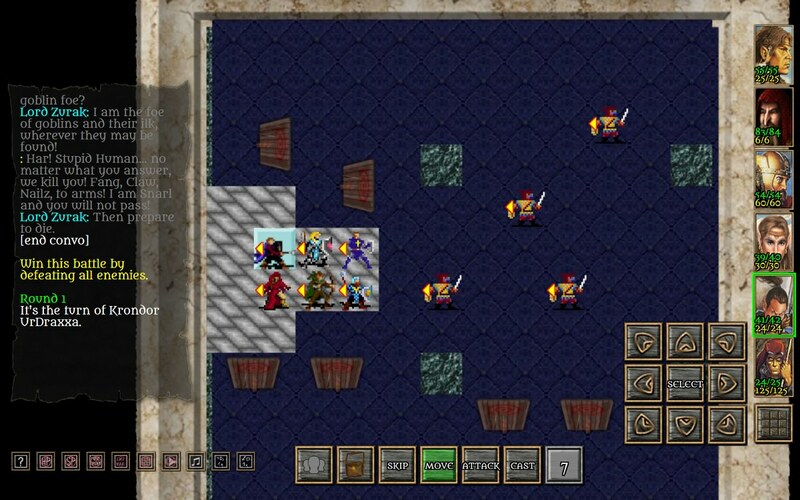 I am working from that version, with necessary adjustments and improvements as I bring the adventure to IceBlink. It will be designed for parties of 5th to 7th level characters, although less experienced characters could try it. 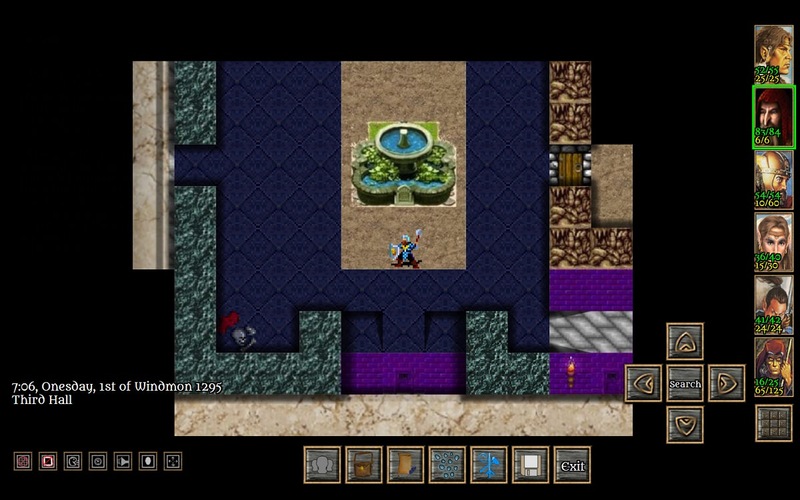 As a dungeon, the areas will make up multiple levels. I anticipate this will take me several months to completed. But I have a head start on the Hall the characters will first enter. This will help me gauge how much of the conversion I can do each month. Again, I will still be posting an update of the current Hearkenwold module next week, with fixes based on feedback, and using build 116. Awesome work Dorateen! The maps look great and consistent artwork too. I look forward to playing through the Hall of Hamhock someday in IB. 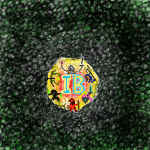 I'll use the 116 version as well once it is posted...busy testing The Raventhal in IBbasic at the moment as well. Great news there . The new screens look awesome and I am happy that the increased image sizes in convos seem to work out fine. My lvl 5/6 party is still in Skardale, being blown away by the detail of the city with its dozends and dozends of houses with dialogue and little stories. I look forward greatly to the Halls opening in the future! 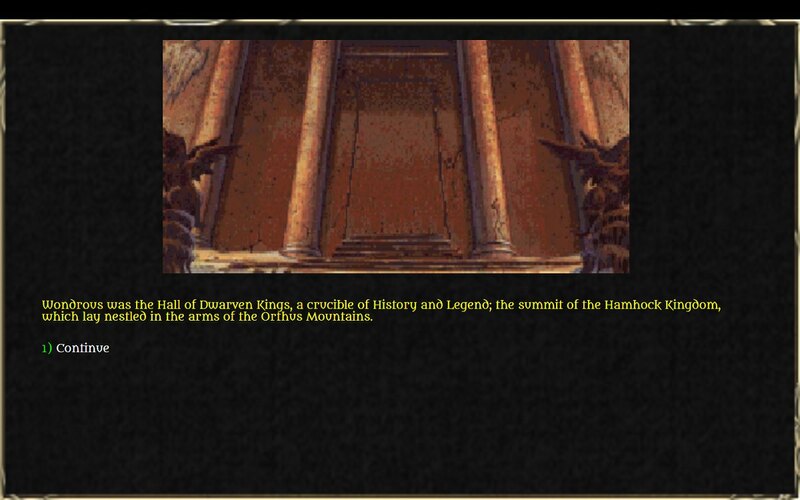 I wonder how my dwarves will get on in the Halls of Hamhock!